Golden Globe and BAFTA award winning British actress Hayley Mills will make her panto debut as the Fairy Godmother, with Olivier award winning and the nation’s favourite dame Matthew Kelly as one half of the Ugly Sisters. Matthew will be joined alongside his son Matthew Rixon and the dynamic duo are back reprising the roles of the Ugly Sister’s after critical acclaim in Cinderella at Wimbledon last year. Joining this incredible line-up is none other than CBeebies presenter Chris Jarvis (Show Me Show Me) who is back by popular demand in the role of Buttons! Hayley Mills is an award winning actress who started acting at the age of 12. She made her screen debut in Tiger Bay for which she won many awards including a BAFTA, she then went on to win the Academy Juvenile Award for Pollyanna and a Golden Globe Award for New Star of the Year – Actress in 1961. During her early career, she appeared in six films for Walt Disney, and is best known for her dual role as twins Susan and Sharon in the Disney film The Parent Trap (1961). Most recently Hayley starred in the ITV series Wild at Heart and she is currently touring Australia in the comedy play, Legends. Shakespeare to musicals - Lend Me A Tenor, Spamalot, Legally Blonde, Twelfth Night, Troilus and Cressida, Waiting for Godot and Of Mice and Men; for which he won an Olivier Award. Matthew was praised by critics and audiences alike in his role as one half of the Ugly Sisters inCinderella at Wimbledon in 2014. Chris Jarvis is a television actor and presenter who has appeared on BBC television since 1992. Chris made his name in the early 1990s on CBBC, presenting in The Broom Cupboard alongside Zoë Ball and Josie d'Arby as well as hosting his own shows like Look Sharp. Since 2009 Chris has written and starred in the much loved TV children’s programme, Show Me Show Me. Matthew Rixon, son of national treasure Matthew Kelly, has appeared in many theatre productions and his theatre credits include Roger Debris in The Producers, The Lion, The Witch and the Wardrobe, Chitty Chitty Bang Bang and To Kill A Mockingbird. Matthew most recently played one half of the Ugly Sisters alongside his father in FFE’s production of Cinderella in 2014. 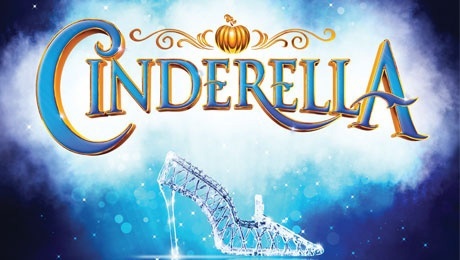 Chief Executive of FFE, Kevin Wood had the following to say on the casting news “I am delighted Hayley and Matthew will be headlining Cinderella in Richmond this year. We are really excited to be working with Hayley on her panto debut and thrilled Matthew is joining us for a third year running. We are also delighted to welcome back Chris Jarvis and Matthew Rixon. First Family Entertainment and Richmond Theatre are looking forward to delivering a high quality show and working with such an extremely talented cast this year and are certain this will be our best one at Richmond yet”! Cinderella is the most magical fairytale of them all. This classic rags to riches story sees Cinderella transformed from a put upon maid by her horrid Ugly Sisters, to the belle of the ball! With sumptuous sets, gorgeous fairytale costumes, riotous Panto Dames, real Shetland ponies and bags of audience participation, fun and laughter is guaranteed for all of the family!